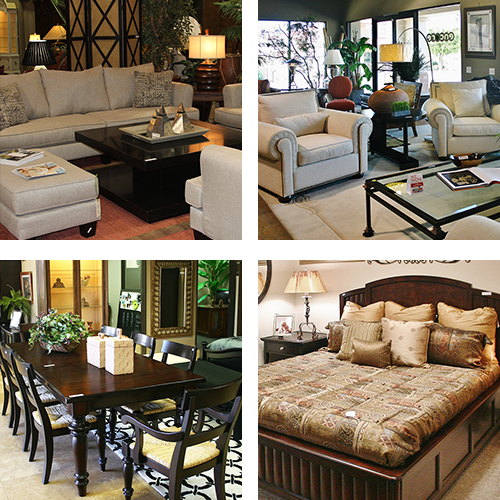 At Encore Consign + Design, we are unlike any other consignment furniture store in the Coachella Valley. We take the time to fully understand your design goals and help you achieve them with the convenience and economy of consignment prices. To start creating your dream home without the hassle of searching through store after store, we invite and encourage you to visit our showroom in La Quinta today. At Encore, we are prepared to assist you with the sale of your home furnishings and decor. When you choose to consign with us, you can leverage our extensive marketing platform to ensure you find the right buyer for your items. Getting started is simple. Send us a photo of the items you would like to consign. Our design team will review and assess your furniture to ensure the utmost quality and style. We’ll contact you promptly to go over pricing and pick up. Our team will strategically stage your item in our showroom for maximum visibility and to increase the likelihood of sales. Avoid the risks of direct selling at bring let us assist you in the sale of your unused home furnishings today. We have completely revolutionized the way you shop for furniture. Our showroom spans over 23,000 square feet and features some of the most beautiful and elegant home furnishings. We have a staff of design experts that are eager to help you achieve your design goals without breaking the bank. Open seven days a week, there’s never a bad time to stop by our showroom in La Quinta.